It comes in a 7oz. frosted glass container. 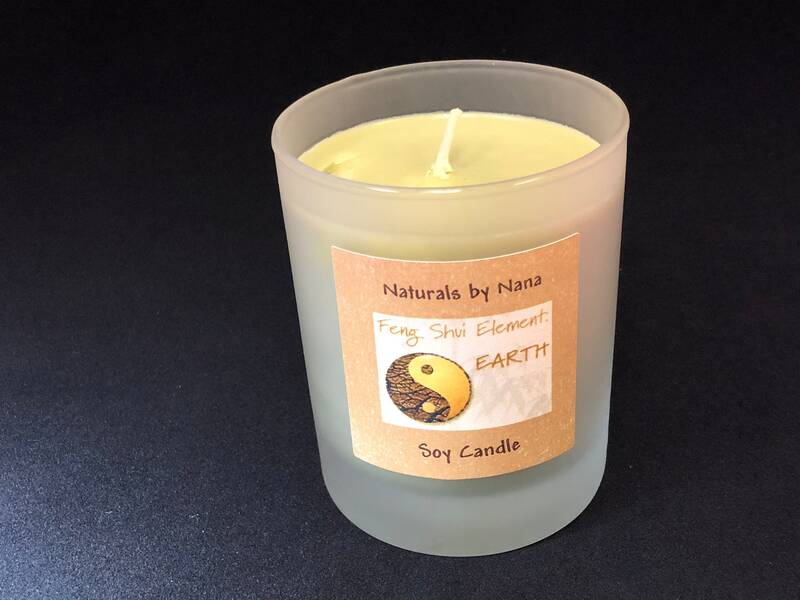 Feng Shui Earth is the fragrance. You should get about 60 hours of burn time depending on how you burn it. These candles burn clean no soot, the fragrance lasts the entire candle, the last time it is lit smells just a good as the first. The decription that we provide for our Feng Shui Earth fragrance oil is as follows. 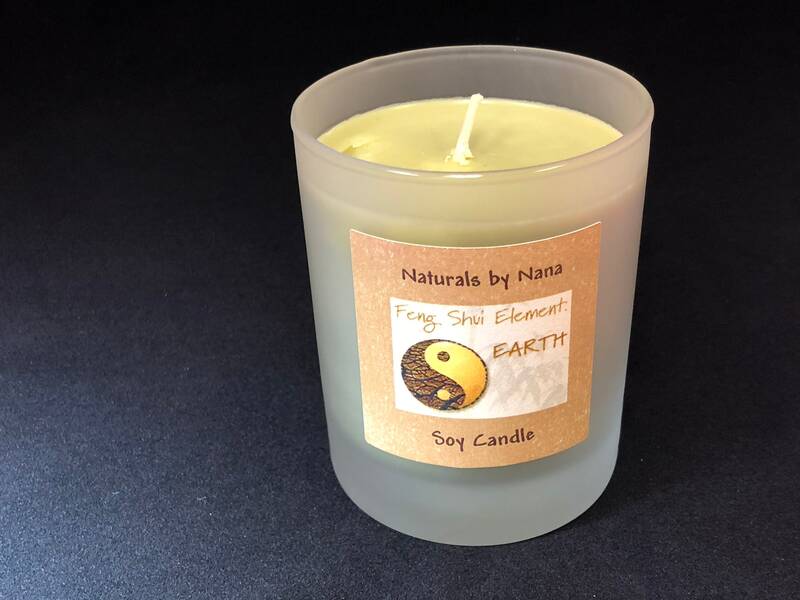 Promotes nurturing, caring energy. Earth offers hints of patchouli, amber and musk with gentle green top notes. This candle can be ordered in any of our 600+ fragrances. These candles make great gifts. These are great for Mothers Day, Birthdays, Anniversaries, Weddings, Thinking Of You and so much more! 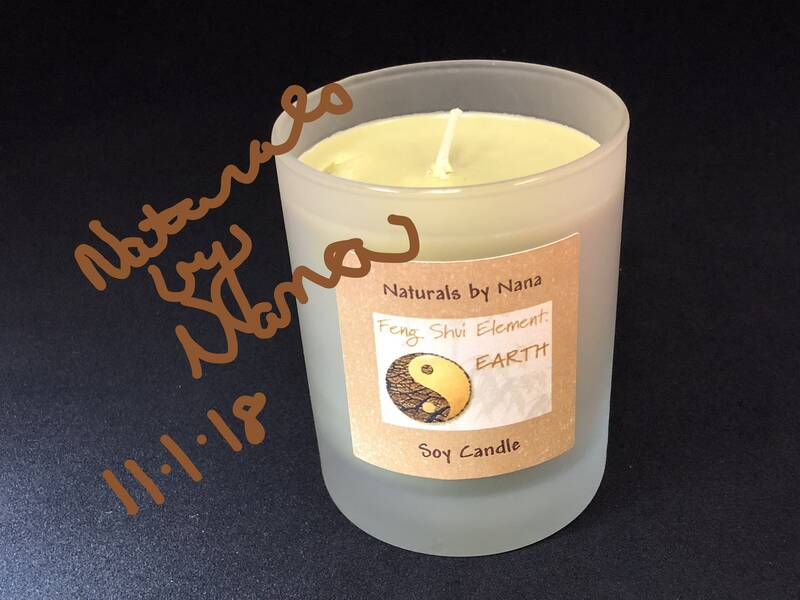 If you would like a custom order just go ahead and place your order for this and in the notes describe let us know the fragrance that you would like. Please feel free to contact us with any questions. I am always happy to hear from customers.